Never mind those doohickeys that allow you to read a magazine while running on a treadmill — pages and perspiration have never been particularly good companions. Still, 2007 witnessed the publication of a mountain of books dedicated to getting buff, biking, brain-training, baking treats for hungry skiers, and more. For the outdoors-oriented and fitness- or sports-obsessed recipients on your giving list, here are a few of the most intriguing reads. The Bible of backcountry skiing is produced in our own backyard: Jeffersonville, where publisher John Howard, editor Adam Howard and a tribe of tree-loving, powder-hounding skiers write about alpine adventures from Alaska to Nepal. 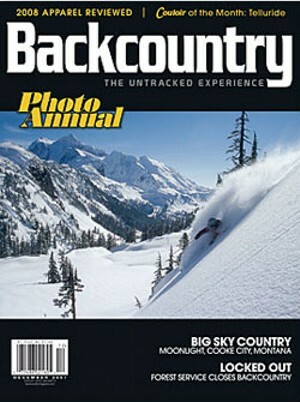 In 2007, Backcountry merged with Couloir, making it an even cooler publication. True, not many Vermonters are going to be in a bikini any time soon, at least not around these parts. But I am — accompanying a slew of skinny family members to the Dominican Republic for New Year’s — so I’m thinking that Bikini Boot Camp may help me shed the holiday excess. Well, perhaps not in just a few days. Still, this slim volume, co-written by a Tibetan Buddhist scholar, is packed with holistic health advice, including workouts, recipes and meditation. This is a great new book for Vermont runners — who, with all that snow and ice slicking the Burlington Bike Path, may find themselves feeling a bit adrift. Its 562 pages are crammed with complicated, but compelling, information on how the cranium controls the corpus. It also has plenty of surprising, useful tips on running and training for races. By spring, your favorite runner should be finished reading and ready for the Vermont City Marathon. When I was little, I wanted to be Lisa Andersen, the tomboy surfer nicknamed “Trouble” who ran away from home at age 16 and became a four-time world surfing champion. Alas, I never had the guts to run farther than the nearest school-bus stop, and ended up living in the land of frozen water rather than riding the big waves. So Fearlessness, written by a former Surfing editor, is a nice bit of escapism for a landlocked tomboy mom. Yogis and yoginis, I’m sorry, but 15 minutes is about as long as I ever last in a yoga class before my mind starts to wander. (Hey, I’m working on it.) This book and DVD can help me and other time-crunched, scatterbrained types find our inner guru in less time than it takes us to find our car keys. Don’t call it a comeback: Todd Smith, a.k.a. LL Cool J, has been ripped for almost as long as he’s been ripping tracks. In 256 pages, LL leads lifters through four levels of fitness, Bronze to Platinum, and covers fitness-building basics along with how to burn fat, plan meals and get motivated. (The photos alone should get even the most dedicated couch potato in gear.) Phase Five, for women, is called the Diamond Body. Too bad LL doesn’t include his own MP3 files. Author, climber and Pilates instructor Lauri Ann Stricker lives in another über-outdoorsy state: Colorado. After years of training rock climbers, skiers, mountain bikers, hikers and multi-sport athletes — and treating them for their overuse injuries — she has written a sensible guide to the benefits of Pilates for those who prefer adventurous pursuits. The 248-page book includes clear instructions accompanied by photos. Former Vermont Life Editor Tom Slayton does exactly what the title promises in this 240-page tome about the quintessential New England outdoorsperson, Henry David Thoreau, and how his places — from Walden Pond and Cape Cod to Maine’s Mount Katahdin — have endured the past 150 years. A Montpelier resident, Slayton’s no slouch when it comes to enjoying the outdoors: He’s a member of the Green Mountain Club, the Appalachian Mountain Club (AMC) and the AMC’s Four Thousand Footer Club. At some point, you have to restore the calories you’re burning on the slopes, which is where Anderson and Pinneo’s pens come in. The two are longtime friends who teamed up to tantalize fellow skiers with recipes for such dishes as pain au chocolat, a Colorado cubano and baked macaroni and cheese. 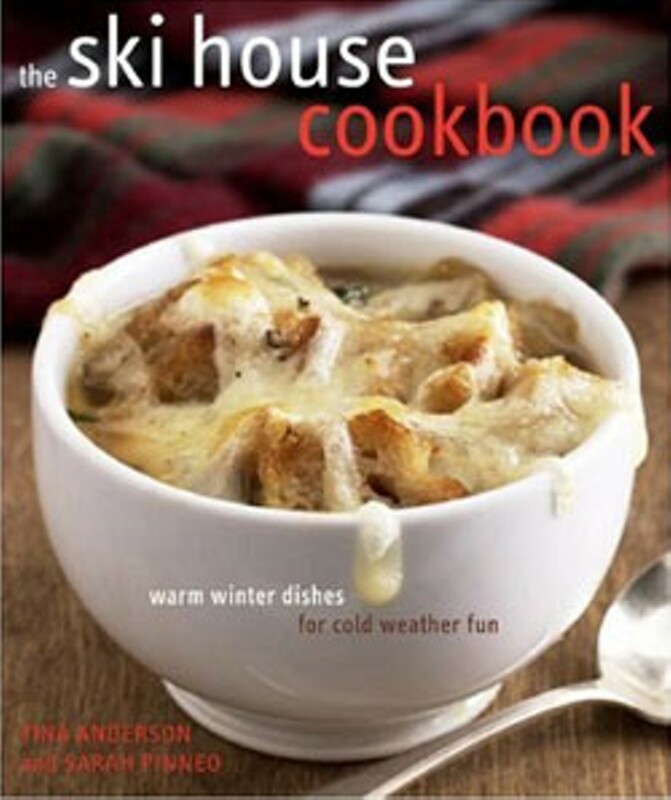 Though the women are originally from Michigan, The Ski House Cookbook has Vermont cred: Pinneo has her own ski house in Ludlow, near Okemo. Trust an emergency outdoor rescue worker and member of the ski patrol at Utah’s Park City Mountain Resort to know a thing or two about dangerous downhillers. In this 352-page tome, Johnson gives readers an adrenaline-infused account of the steep and deep, including such alpine luminaries as Stein Eriksen, Jean Claude Killy, Bode Miller and the Flying Tomato. There are flubs, too, such as ski jumper Vinko Bogataj’s spill — forever since associated with ABC’s “Agony of Defeat.” For more extreme-skiing action, check out the highly hyped, high-definition Sony Pictures Classics film Steep, which opens at Burlington’s Roxy this Friday, December 21. The eerie footage of Doug Coombs, who cut his skiing chops in Vermont and died in 2006 while skiing at age 48 in France, is riveting.